It’s so exciting to watch award shows and root for your favorite celeb and influencer nominees for awards show. 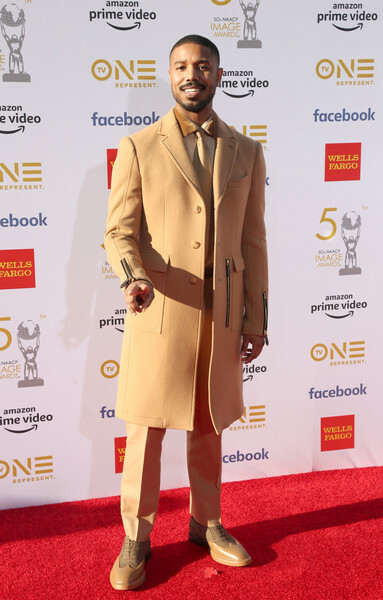 Its amazing that the NAACP Images Awards have been around for half a century as we witnessed the 2019 50th Image Awards! So many amazing moments and I would love to recap some of my favorites of the night! I love award shows, but I have to say the NAACP Awards is one of the classiest when it comes to honoring black people and boy did everyone show out. From the adults to the kids, everyone shine this night. These are a few of my favorite looks! The superhero film was a cultural phenomenon, earning $700 million domestically during its theatrical run. 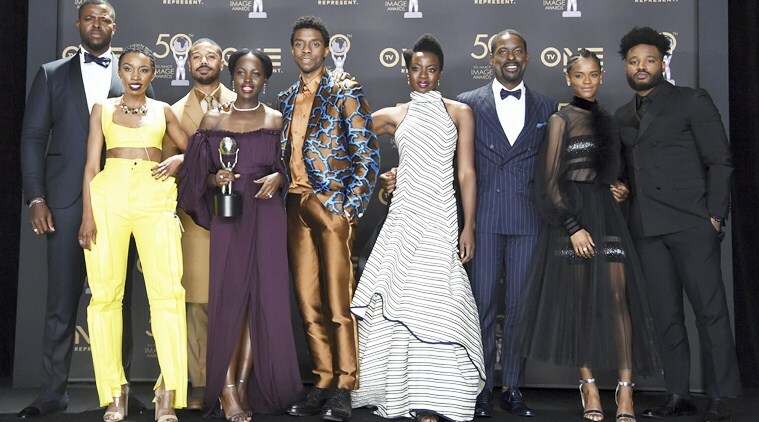 “Black Panther” won in several other categories, including best actor in a motion picture (Boseman), supporting actor (Michael B. Jordan) and directing (Coogler). So clearly had a lot of wins all night! It was a plethora of wins for the entire cast, and many of the cast members indivisually. This is one of my favorite show so I was proud of each win. 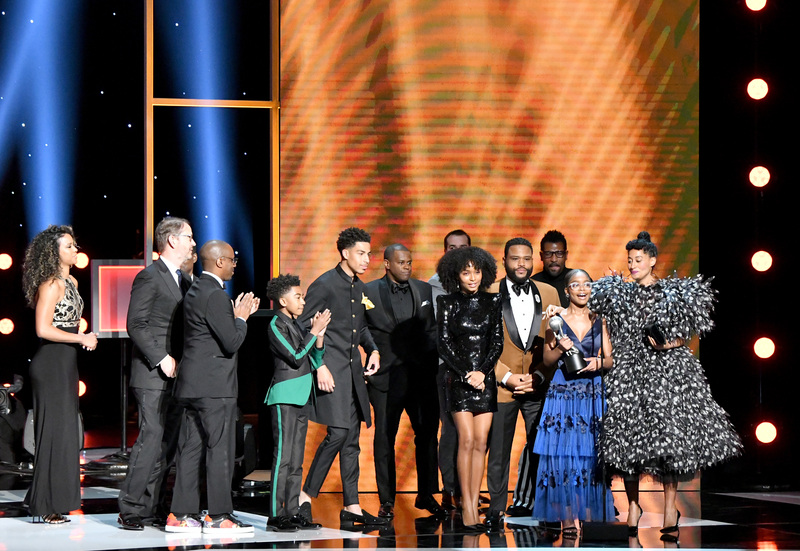 Check out each category black-ish and the cast won in different categories! So the shocker of the night was seeing Beyonce and Jay-Z in attendance. With both of their hectic schedule viewers and even guest of the NAACP Image Awards everyone was gracious to see their presence. 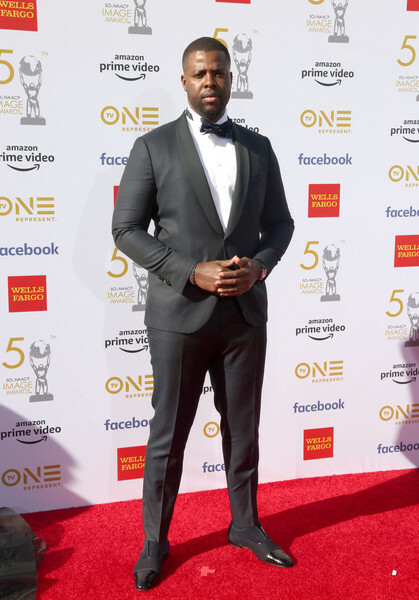 AT&T Wireless and TV One celebrate black excellence by inviting everyone to participate in its Dream in Black campaign last month and continue for the NAACP 50th Image Awards. The Dream In Black influencers immerse themselves in the mindset that success can look like anything they dream. Celebrities like Queen Latifah, Vic Mensa, Keke Palmer and Devon Franklin all say the key to success is to live without restrictions and see past all boundaries. There was also a wonderful engaging twitter party with the #DreamInBlack #ImageAwards50 hashtag to have a convo with fellow influencers. 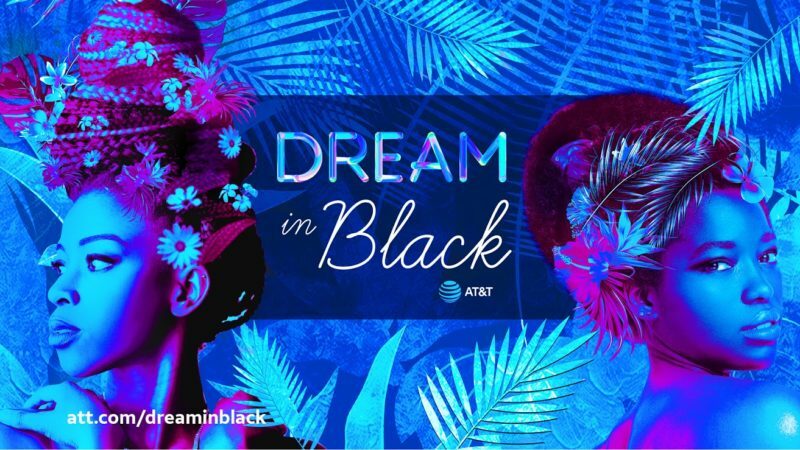 We fuel a national conversation around Black excellence and celebrate those with the courage to #DreamInBlack for the now with twitter questions such as Are you living your DREAM life right now? If so, please share! If not, what are you doing to get there? How will you push yourself to #DreamInBlack when it comes to reaching your goals? Who do you want to see honored s the next Dream in Black honoree? Oh Wow, Beyonce costume looks amazing. I actually liked many ladies costumes in there. I generally like seeing costumes in award shows. Hmm, I’m really not sure about this kind of fashion. It’s more like a costume I guess. I haven’t seen the NAACP award show yet. Thanks for the overview. I liked Beyonce’s outfit. I love all of this. Regina King is phenomenal and I’m so proud of the Black Panther party. It’s such a great awards ceremony to hold. I’m glad you spoke on the positives and not the the controversies. Cool! The outfits are lovely. They all deserve the awards! It’s always such fun watching award functions. Thank you for posting such amazing photographs. Those are all some gorgeous looks! Those dresses must be thousands of dollars; so beautiful! Wow! Amazing runway and red carpet looks! It looks so fab! So cool! Everyone looked so incredible at the awards! I absolutely am in LOVE with Beyoncé’s gorgeous outfit. The hat was such a nice additional touch to bring the whole ensemble together. Does Beyonce ever age? She still looks fantastic and lovely. Awards are so great. Everyone deserves some recognition for their hard work and even though it seems like those who act or sing or do any of those celebrity jobs just play, they’re still working very hard to do what they do. The fashion here was awesome! Looks like a great awards night. Wait, I missed it or does it air on a later date? 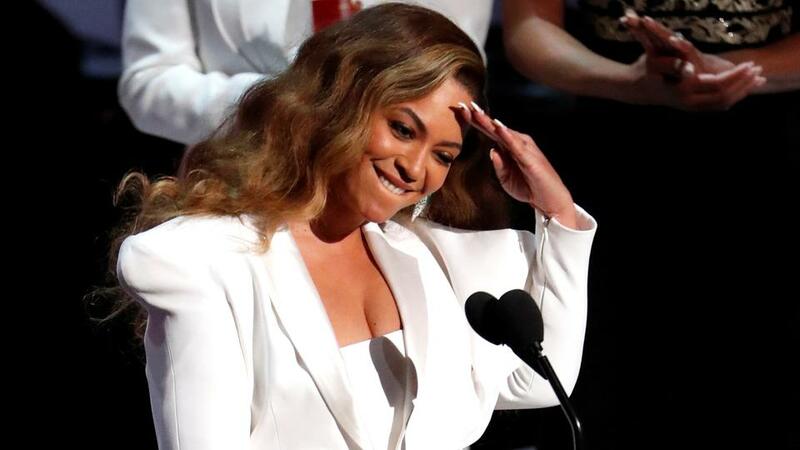 Everyone looked great, and for Bey and Jay to show up is HUGE! Oh my goodness! Beyonce is so gorgeous and I totally love her stylish and stunning outfit. That must be a fun and exciting show to watch. Wow! Some of those dresses are over the top! I totally missed this show. I would love to see this in person. What a great event! 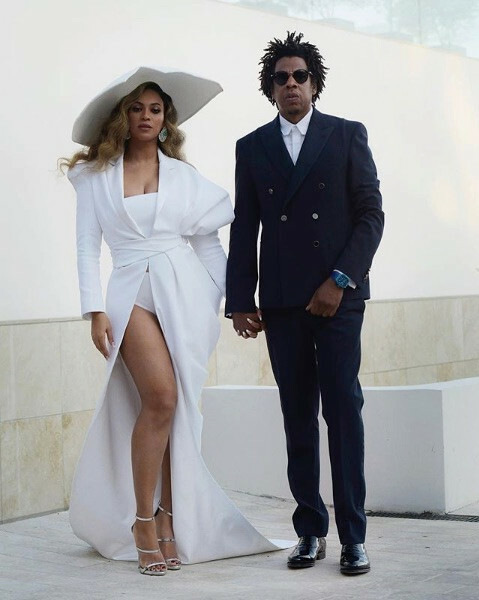 Beyonce and Jay Z looks so good together. They are really the kind and queen, no doubt. This is such a lovely event. This is awesome. I have not watched it yet but i am even more excited to seeing this after reading this. I see alot of my faves won! I loved seeing all the different styles on the red carpet. So much black excellence! Makes me so happy! I love the NAACP Image awards because they celebrate all the people I love. I see people win for the shows that I watch, the movies I see in theaters and for the work they do in OUR communities. that’s what I like about red carpets, all the amazing fashion. My favorite part of watching the awards shows is seeing all the different outfits. This one did not disappoint. I love watching awards show. Besides wanting to know who the wonners are, Seeing all the outfits when they walk in on the red carpet is never to be missed. I thought this was one of the better NAACP awards that I have seen in a while. It seems like there were more celebrities there than usually. Probably because Black content is booming right now. I was a part of that twitter convo and won something. I also learned quite a few things from the convo on twitter. I am so proud of us! This awards show were so inspiring to me as a black female. I loved so many things about it, but hearing the shout-outs to their moms for winning is the part that I loved the most.